Pool Pro Online 3 (v1.0.5) — Mobers.ORG — Your Daily Source For Mobile FUN! If you've been looking for an online pool game, here's your chance. 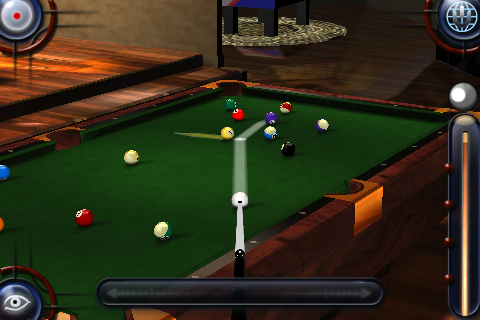 Namco's Pool Pro Online 3 for iPhone and iPad are now free for a day. This represents the 3rd in the franchise which originally began on mobile phones but is now extending to smartphones and even the desktop. 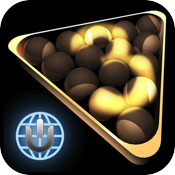 The game allows both single player and online play in 8-ball, 9-ball and Snooker. Players can also make in-game wagers against their opponents and use winnings to upgrade table felts, cue sticks and new pool halls. The 3d game allows you to rotate your view and pinch/zoom to line up your shot.